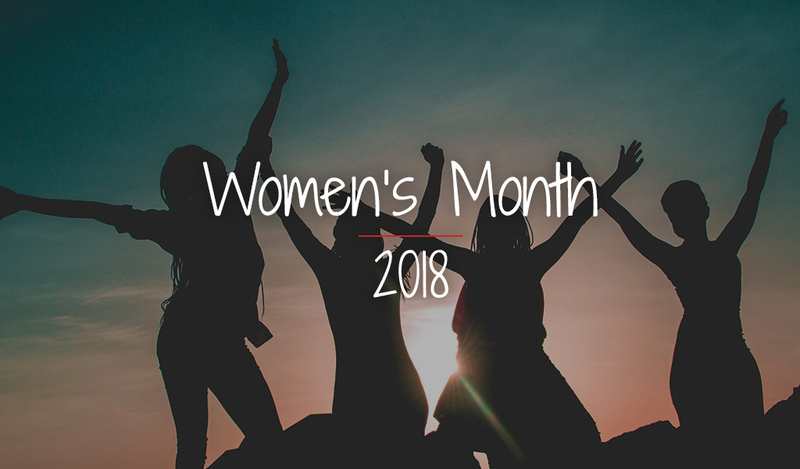 This year, in celebration of Women’s Month, Flint Studio has a chat with the women in the team. A conversation to find out what drew them to the digital marketing industry, what it takes to make it, who inspires them and of course what their views are on Women’s Month. I started playing around with web development to help out my mom and dad’s organisation as they produced a lot of reading material and needed to get it out there for the world. If I remember correctly I created my first website back in ’98 or ’99. It made sense that I study in the IT field when I left high school so I completed the popular MSCE and IT diploma that was all the rage back then. After a few years in the support arena, Ken and I decided to take the plunge and start our own company and do it ourselves. Since then I’ve been able to see the digital industry grow from the more technical side into a mix of creative, analytical and technical facets that it is today. The reason I love this industry so much is that every day it keeps changing and that there is always something new to learn, play around with and experiment on, I find it a fascinating industry! My background is in marketing in various industries and it was never Digital. When I started out, I saw it as a new and intriguing field, Digital is where marketing is leading but each day is different. I am constantly learning My only tip for success in this industry would be to never give up, this is important. It would be great to have more women in development as the Digital industry is always evolving. Women’s Day is a day we recognise and celebrate the strides that women have made in all aspects of life and we look forward to what the future has in store for the new generation of women. I was drawn into the Digital Marketing Industry because of my love for the world of web. The real-time interactions, feedback, and analytics that can be drawn intrigued me and sparked further curiosity to want to learn more. I love the way digital technologies can change the way we communicate and do business. I love that Flint Studio has a team of very talented people that are dedicated and creative. I take inspiration from Lana Strydom, Executive Head of Online and Self Service at Vodacom. Lana is a woman that works in a male-dominated industry but she has proven that women are just as capable as men. Working with her was inspirational. She has put together high-performance teams that have executed successful digital projects. She supports and builds other women up in the industry, a true leader in every sense of the word. Women still have a long way to go when it comes to looking out for each other, we still need to learn to build each other up and not look for the first opportunity to be hurtful or spiteful. We need to have each other’s backs, that way we will have more successful women in this industry. Yes, there are equal opportunities for both men and women. I just think that remuneration is still a challenge in the industry. There are still companies that exploit resources. We need to set certain benchmarks for roles and remunerate correctly according to industry standards. Women’s Day is a wonderful opportunity for us to reflect on how far we have come as women and what challenges we are still facing that need collective resolves. We need to reflect on this day and see where we can make a difference for ourselves and for all women across the country. A difference in the way we speak, the way we behave and the channels we use to address issues pertaining to our rights. On this day we need to use all the available free platforms to share knowledge and celebrate successes and empower each other through dialogue. I wasn’t necessarily looking to get into Digital when I applied for a job at Flint Studio, although I am glad it was a digital agency considering how much I’ve since learned from my time there. I love the company culture and the great workspace that has been created for employees. Don’t rely on others – you shouldn’t expect others to do things for you. They are all busy with their own needs, no one will achieve your goals for you except you AND also learn to plan, know these 3 steps forward, when, what and how. I really don’t think we are at a level where there are equal opportunities in any industry, it’s a work in progress. Women’s Day is a celebration of all women from different races and backgrounds coming together and celebrating being women of courage, conviction and an unrelenting spirit. I have always been creative and I knew I wanted to go into marketing. Flint is an amazing place for new opportunities and to grow and advance in one’s career, a great stepping stone. Success boils down to your attitude about yourself and how determined you are to succeed and persevere. I believe in equal opportunities, we are all human after all. Being a woman should not be a hindrance but rather a motivation to prove others wrong. Merit should be given where it’s due. Women’s Day is about fighting for equality so that our future generation does not have to suffer. At Flint Studio, there’s not a day where one can say they’ve interacted with just one brand and that’s just one of the things I enjoy, each day is unique. That kind of flexibility lays the groundwork for any type of work environment. In many ways, I’m inspired by media powerhouse, Khanyisile Dhlomo. I love that she is spiritual and that seems to be the approach she has to business as well, that is rare. She runs multimillion brands without the slightest glimpse of ego. I’m no expert and every day presents something new to learn but my two cents worth for this industry would be to always stay on top of your game by keeping up with the forever evolving playing field. Always focus on finding a solution (instead of dwelling on the problem) and as cliche as this sounds, do not be afraid to fail, ever. Failure is an opportunity for self-reflection and growth. As far as equal opportunities for men and women go, I’d say there is an improvement but there are still a lot of issues like the rise in femicide and the glaring wage gap which remains something that stagnates women’s financial progress.